A blood pH level that's too acidic can throw the entire body out of whack, potentially leading to muscle loss, chronic back pain, bone loss, high blood pressure and stroke, according to a review published in Journal of Environmental and Public Health in October 2011. Your diet influences your blood's pH level, with some foods having an acid-forming effect and others promoting alkalinity. 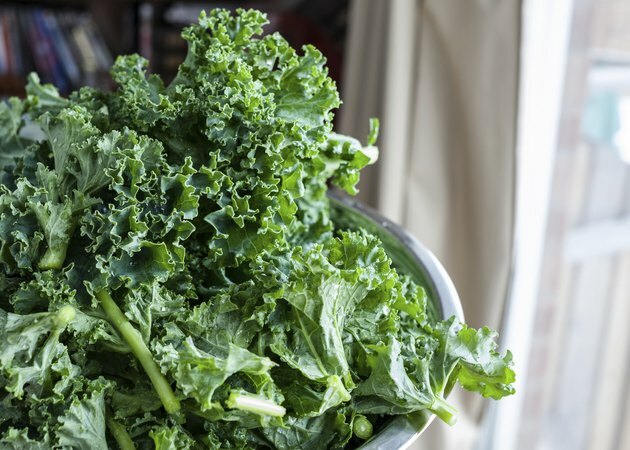 Eating fewer acid-forming foods and more alkaline foods may improve your health. The best way to promote alkalinity in your body is to eat plenty of fresh fruits and veggies, which are the most alkaline of all foods. Fill half your plate at each meal with leafy greens, broccoli, cauliflower, eggplant, asparagus, celery, onions, peppers and radishes. Spinach, kale and fennel are some of the most alkaline vegetables. Exceptions in this category include beans and lentils, unless they are sprouted. Make an alkalizing fruit salad with fresh orange slices, kiwi, grapes, pears, apples, melons, berries and peaches. Raisins and figs are highly alkaline. Blueberries, plums, prunes and cranberries are exceptions in this category, having an acidic effect on the body. Some nuts and seeds have an alkaline effect, while others are acid-forming. Almonds, pignoli, fresh coconut and chestnuts promote alkalinity in your body, but walnuts, pecans, cashews, dried coconut, pistachios, macadamias, filberts, Brazil nuts and peanuts are acid-forming, according to medical researcher David Williams, D.C., on his website. Sprouted radish, alfalfa and chia seeds, and unsprouted sesame seeds are all alkaline, says Williams. Most dairy is acid-forming, but whey, a byproduct of cheese making, is alkaline. Fresh unsalted butter, goat’s milk and plain yogurt are also alkaline-promoting, according to Williams. Margarine and unprocessed, cold-pressed oils are alkaline, as are miso, vanilla extract, brewer's yeast, eggs and unprocessed sea salt. Most herbs are alkaline as well. Alkaline beverages include fruit and vegetable juices, coffee, tea, mineral water and red and white wines. Journal of Environmental and Public Health: The Alkaline Diet: Is There Evidence That an Alkaline pH Diet Benefits Health?